Actually, you think anything possible has already happened on Mount Everest. But it’s a sad novelty that in a high camp three climbers are beaten, kicked, pelted with stones and threatened with death by furious sherpas. The two top climbers Simone Moro from Italy and Ueli Steck from Switzerland and their British photographer Jonathan Griffith have been effected by the incident. „Something from another world“, Simone called what happened to them. This May Stephen Venables can celebrate a double Everest jubilee: the 60th birthday of the first ascent – and his more personal anniversary: On 12th May 25 years ago Venables was the first Briton to climb Everest without supplementary oxygen. A milestone. „I was lucky enough in 1988 to help write a new chapter in the mountain’s history, when I climbed a new route up the Kangshung Face with Robert Anderson, Paul Teare and Ed Webster”, Stephen wrote to me after I had asked him for his thoughts on Everest on occasion of the 60th anniversary of the first ascent. 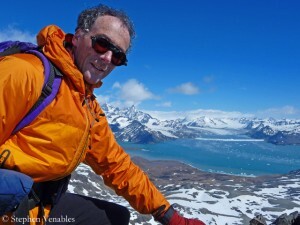 “Thanks to those fine American/Canadian climbers and a magnificent base camp support team, I enjoyed some of the greatest days of my life of Everest, living for over two months in the beautiful Kama valley.” But his life was hanging by a thread then. Ang Tshering’s biography can be assumed to be symbolic of the success story of the Sherpas in the past six decades. He was born in 1953, half a year after the first ascent of Mount Everest. 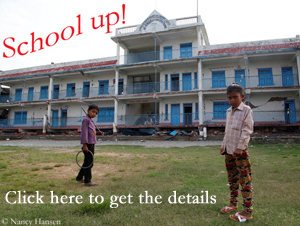 In his home village Khumjung, on 3780 metres near the highest mountain of the world, Ang Tshering attended the school that was founded by Sir Edmund Hillary. The English skills which he had aquired there enabled him to work as a porter and interpreter for expeditions. 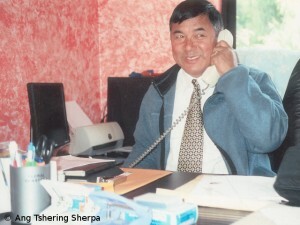 In 1982 Ang Tshering founded „Asian Trekking”, today one of the leading agencies for expeditions and trekkings in Nepal. He married a Belgian woman, his son Dawa Steven studied in Scotland. Ang Tshering was and is not only a successful businessman with best worldwide contacts but has always been engaging for mountaineers. Since 1990 he is a member of the executive board of the Nepal Mountaineering Association, for nine years he was the president of the organization. 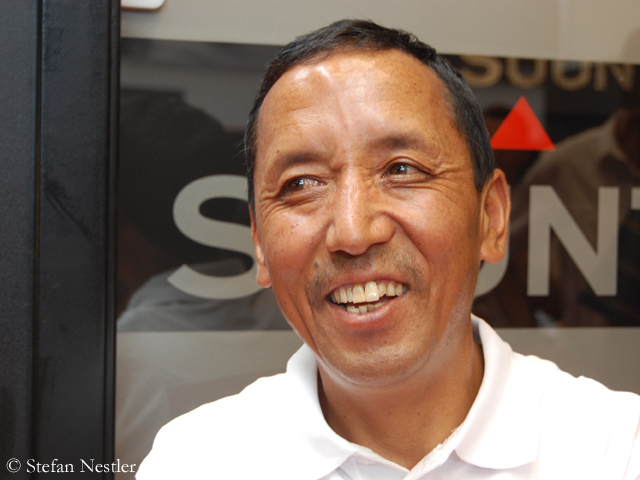 In addition the 59-year-old Nepalese is the Immediate Past President of the Union of Asian Alpine Associations (UAAA) and Honorary Member of the International Mountaineering and Climbing Federation (UIAA). „Everest has put Nepal on the map as an ultimate (adventure) tourism destination”, Ang Tshering wrote to me after I had asked him for his thoughts about Everest on occasion of the 60-year-jubilee of the first ascent. In fact she was the second but in a way the first too. Helga Hengge summited Mount Everest on 27th May 1999. As second German woman after Hannelore Schmatz. But Hengge also survived the descent – in contrast to Schmatz who died from exhaustion on 8300 meters on the south side of the mountain on 2nd October 1979. For years climbers passed the corpse called „The German woman” which was sitting in the snow. Later the storm blew it into the depth. 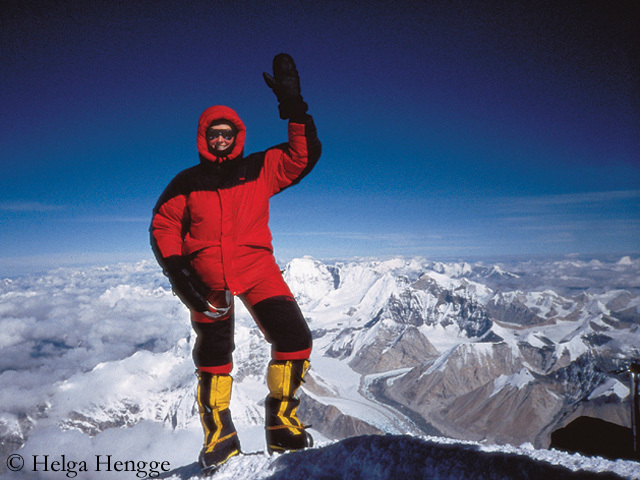 Almost twenty years after Schmatz Helga Hengge reached the highest point on 8850 metres after she had climbed up from the Tibetan north side. „I felt like a goddess”, Helga later said, „as if I could float.” Hengge was 32 years old when she stood on top of the world. Today Mount Everest sometimes gives her a nightmare, Helga, aged 46 now, wrote to me after I had asked her for her thoughts on occasion of the 60th anniversary of the first ascent. Just now Russell Brice has a lot on his plate. 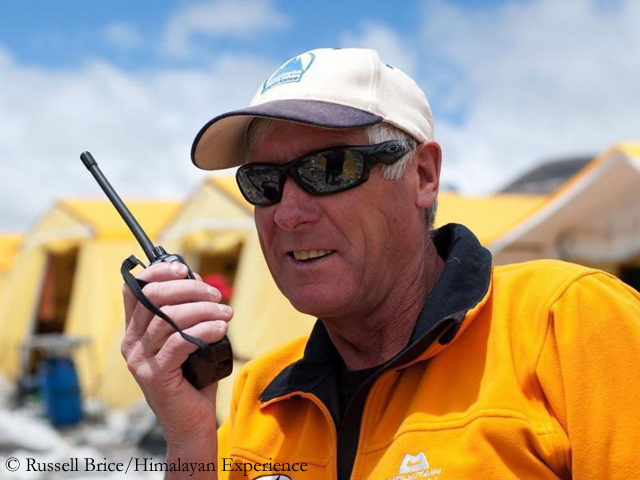 The 60-year-old climber from New Zealand, owner of Himalayan Experience, is leading his 18th commercial expedition to Mount Everest. The most prominent of his ten clients who want to climb the highest mountain of the world is Evelyne Binsack. In 2001 she was the first woman of Switzerland who scaled Everest coming from the Tibetan north side of the mountain. This time Evelyne, aged 45, will try it from the south, for a documentary she also wants to carry her camera to the summit. 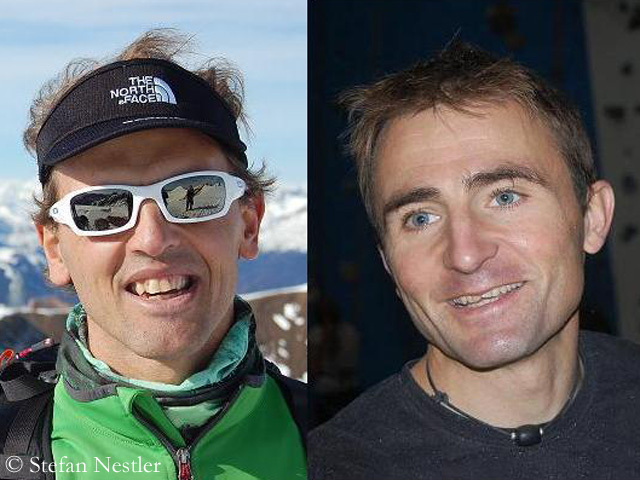 Russell will stay at the bottom as basecamp manager, also looking after six climbers for Lhotse and four women who want to scale the 7861-metre high Nuptse. German journalist and mountaineer Billi Bierling is a member of this last mentioned team. Although Russell is „quite busy”, as he wrote me, he has taken time to send me his thoughts on occasion of the 60-year-jubilee of the first ascent of Mount Everest. 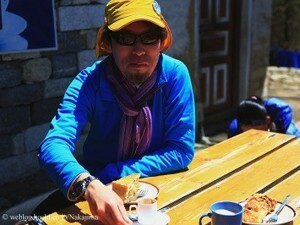 Hiro has experienced a lot on Everest. „It is a very special mountain for me”, Hirotaka Takeuchi wrote to me, after I had asked him for his statements on the 60-year-jubilee of the first ascent. „I learned a lot from climbing Mt. Everest, and all those lessons and experiences were very important and helpful to me to climb all the fourteen 8,000 m peaks. Thus, I think Mt. Everest was a great learning place forme.” In one of the ‘classrooms’ the Japanese climber had been close to lose his life.